There are hundreds of ways to customize Windows and speed up system performance. Whether you should implement one method usually depends upon what hardware, software, and other Windows features you are using. Several third-party applications relieve you of these many decisions, scanning your system to see what it’s using and optimizing Windows settings automatically. Many optimization apps also find and correct configuration errors that slow performance, shutdown, and startup. Some include performance-enhancing features such as file system optimization and RAM optimization. Truly “the kitchen sink,” Advanced System Care includes registry cleaning, optimization and compression; disk defragmentation and optimization; spyware and adware removal; junk files clean-up; optimization of Internet settings; a RAM optimizer; device driver updater; even a “Software Informer” that checks for more recent versions of all your software and allows you to download them from one page; and more, more, more. The RAM optimizer and disk defragger can run separately from Advanced System Care. 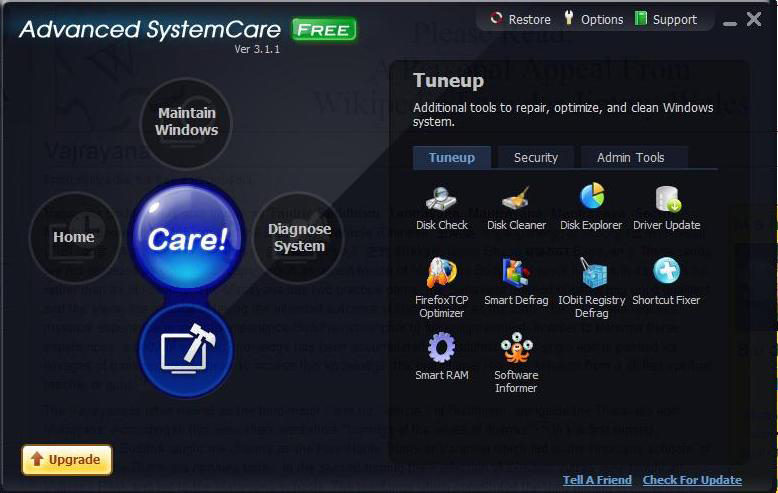 The difference between the pro and free editions lies mainly in enhanced functionality of the various features, such as the ability to schedule a comprehensive system tune-up. The free edition is fully featured for consumer, non-commercial users. 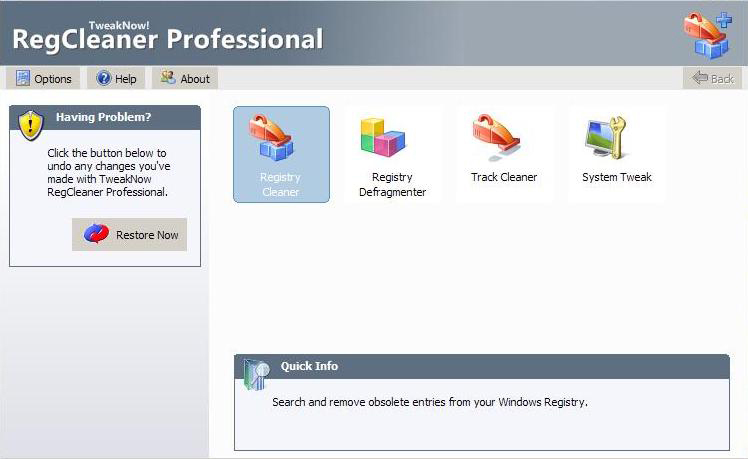 Primarily a registry cleaner, TweakNow! offers three levels of cleaning that trade off processing time for thoroughness. The user interface is elegantly simple and registry processing is fast. Almost hidden behind the “System Tweak” icon is a wealth of Windows options that can be configured with a click of a button instead of poking through Administrative Tools, Control Panel, My Computer, etc. 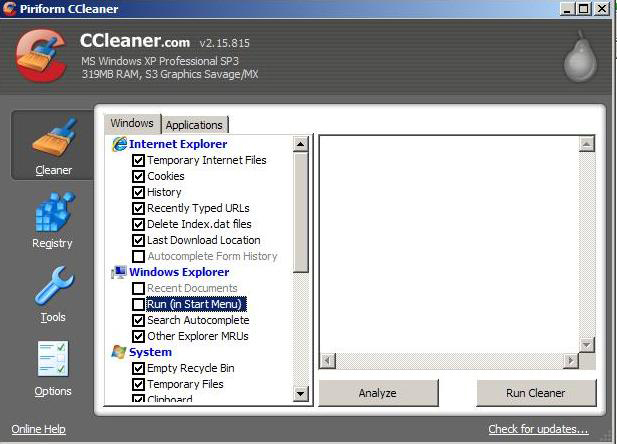 Originally called “Crap Cleaner”, CCleaner is one of the most popular freeware applications on the Internet, with over 225 million downloads as of this writing. It’s simple to use and very fast, scanning the registry in a handful of seconds. CCleaner also cleans up junk files such as installation logs, temporary files, cookies, etc., and lets you select exactly what “junk” to keep. The Tools include a Startup folder manager and an Uninstaller interface that lets you change the name of an installed program or save a text listing of all installed programs. Optimization apps can make your computer run “like new” again. Performance gains are usually very significant. Give one a try!